Recorded Live at Hollywood Rock, Praia da Apoteose, Rio de Janeiro, Brazil - January 26, 1996. Excellent Soundboard recording :: Silver CDs :: FLAC. Files: 28.:: Size: 845.25 MB (flac). Personnel: Robert Smith, Simon Gallup, Jason Cooper, Perry Bamonte, Roger O'Donnell. Friday I'm In Love : Perhaps the biggest surprise to this Hollywood Rock is not any worldwide pop/rock revelation. 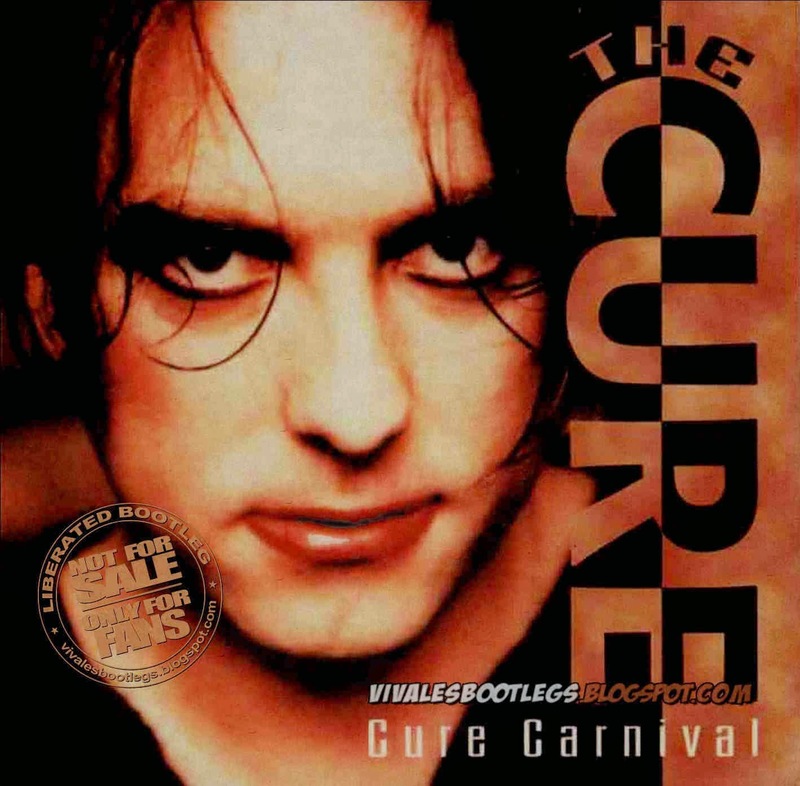 The Cure, a band that many nor even knew that still was in the active, and after so much menaces of a last disc, finishs the first night in Rio (January 26), and in Sao Paulo (19). Robert Smith and his band disembark at the country eight years after have visited the two capitals, besides Porto Alegre, conquering the brazilian public with fabulous performances. Cure already has more than twenty years of stage, and was, literally, invited to participate to this edition of Hollywood Rock Festival. The fans of the band in the whole Brazil organized a petition asking the turn of the group. The last album of the group, Show, is a compilation of the biggest successes. " Inbetween Days ", "Let's Go To Bed", "A Forest" some of the classic promised to play in the festivals, besides they present some new music that will be on the next disc, still without title, with the accomplishment foreseen for the first semester. In 76, Smith joined to two school friends and they formed Easy Cure, working to reach some success that only came later two years later with "Killing An Arab". The Band have had several modifications, just tends two integral members in a certain moment. 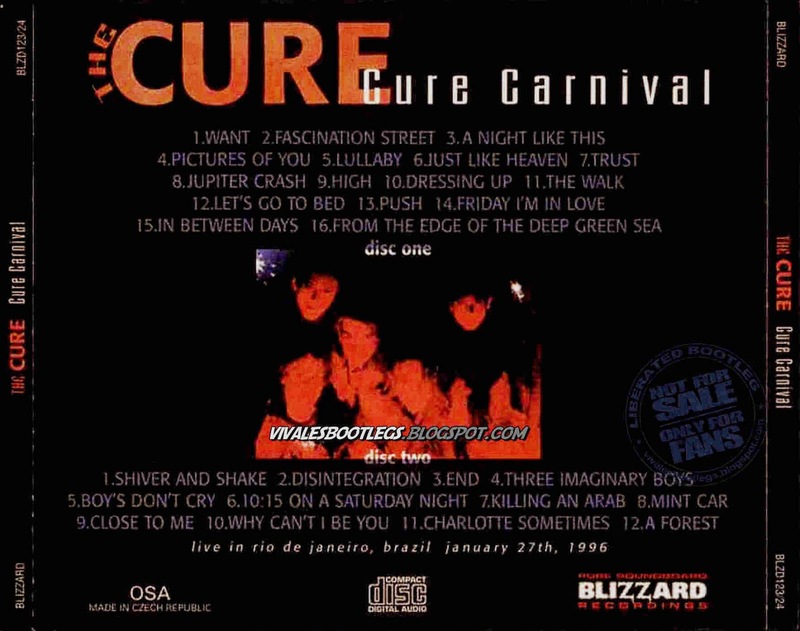 In United States, unlike what it was noticed for here, Cure just reached the success in the end of the eighties, while Head On The Door and Standing On The Beach was the great band success in Brazil. (written by Tatiana Tavares).